STORY: In the epic battle of the Final Crusade that occurred from last year, Hayato Kanzaki had slayed the evil Dr. Edward Bilstein and brought the end of the Fourth Empire's terror and destruction throughout the entire galaxy. The fall of the Fourth Empire and the death of its leader were momentous occasions of last year and it signaled the restoration of peace and happiness, but all is not well in the galaxy. Rumors have been circulating about the unexpected return of Bilstein in a new cybernetic body, as well as the appearance of a ghost who eerily looks like Bilstein's old cybernetic body. At the same time, the Fourth Empire has taken the opportunity in rebuilding its forces and the loyal members of the organization are determined to carry out Bilstein's will of eliminating those that stand in the way of their master's galaxy conquest. Kind of a sloppy character selection screen for a Capcom fighting game. 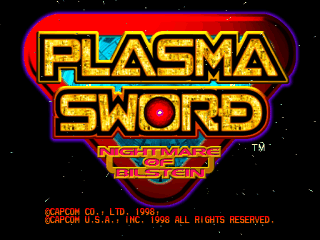 REVIEW: Plasma Sword: Nightmare of Bilstein (known as Star Gladiator 2 in Japan) is the sequel to Star Gladiator, one of Capcom's first ventures into the 3D fighting game genre. 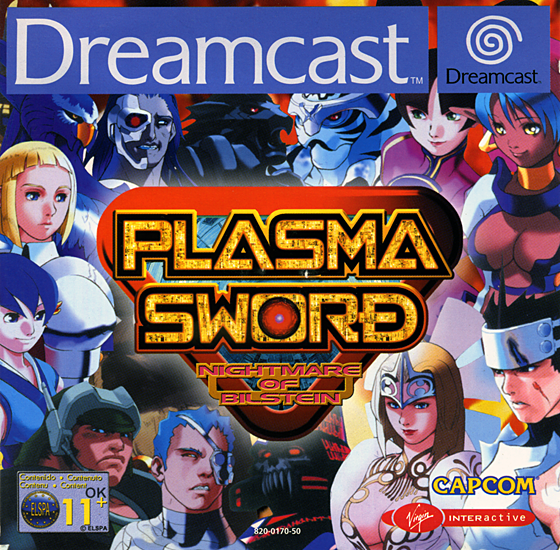 While the original was released on Namco's System 11 Arcade Board and then ported to the Sony Playstation, Plasma Sword was released on Namco's improved System 12 Arcade board and then ported to the Sega Dreamcast in the year 2000. 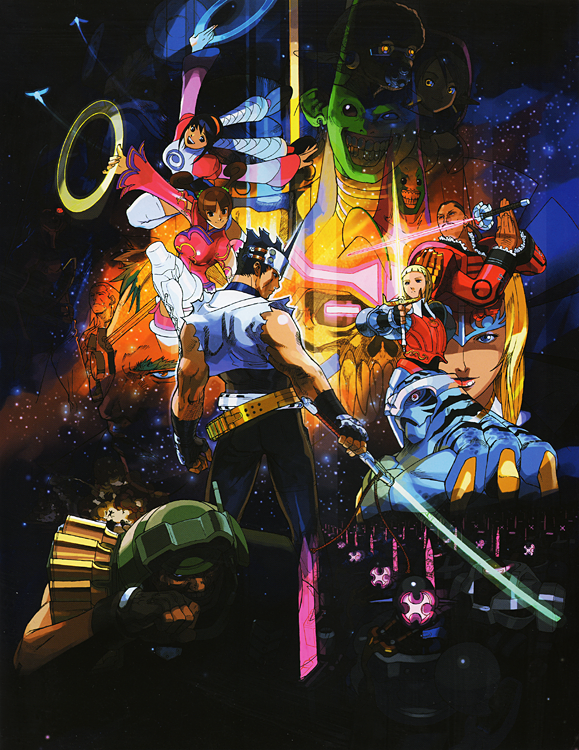 All characters from the original Star Gladiator make their return (with the exception of Rimgal and Kappah) in Plasma Sword. 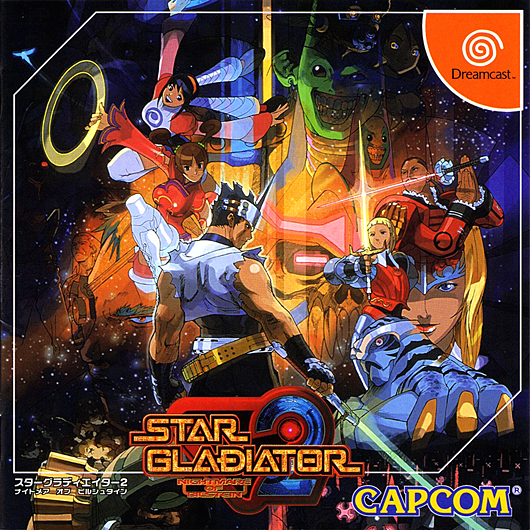 Fourteen new characters join the veteran Star Gladiators, each with his or her own unique storyline. 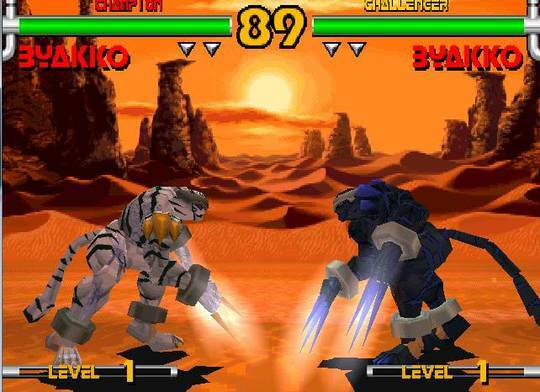 However, ten of the newcomers can easily be dubbed as "palette swaps," since they share the exact same fighting styles, special moves and Plasma Fields of the the original cast... but they do have their own unique Plasma Strikes, at least. 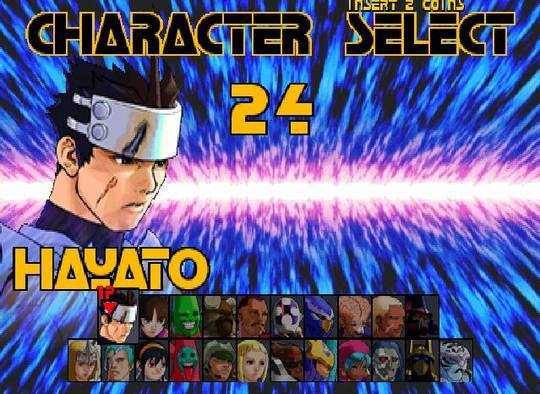 Hayato also has those colors in MVC2! 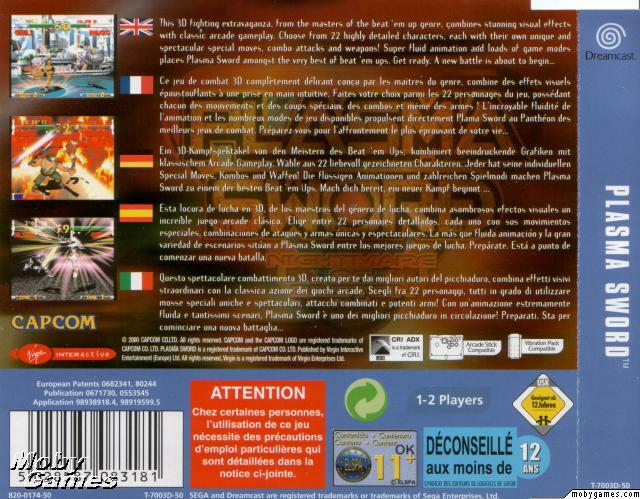 Plasma Sword features much faster gameplay than the prequel, and nearly feels like a completely new game. 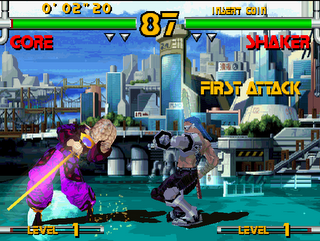 The game features 4-button layout, 2 buttons for weapon attack, 1 for kick, and 1 for guard. 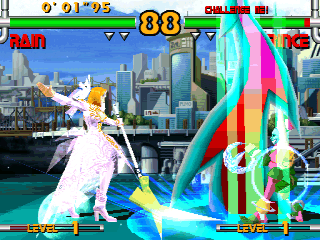 Unique to the series, characters can perform a damaging skill called a Plasma Field. 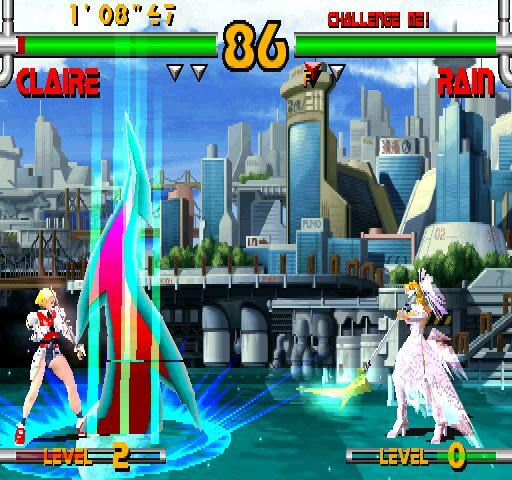 With the use of one super meter, the character who activates it will emit a sphere of energy. 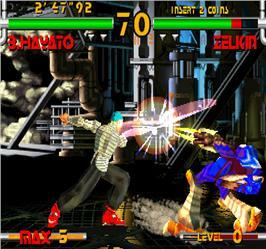 If the move connects, the playing field will be temporarily boxed in by four invisible walls, making escape from the Plasma Field effects difficult. 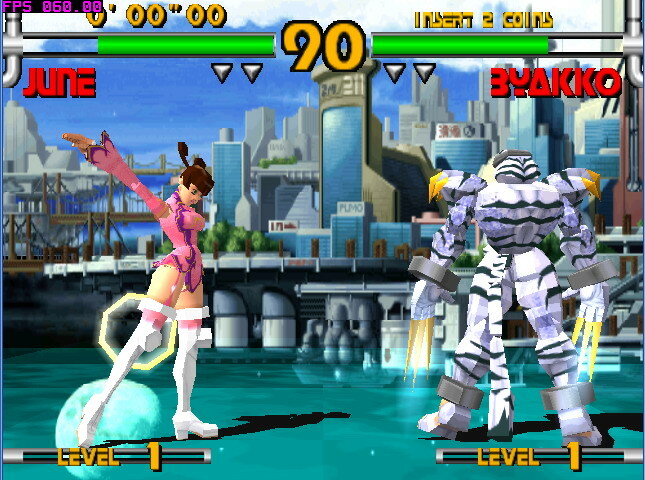 The effects of the skill vary with each character, ranging to infinite Plasma Strikes, growing to gigantic sizes, and even stopping time. 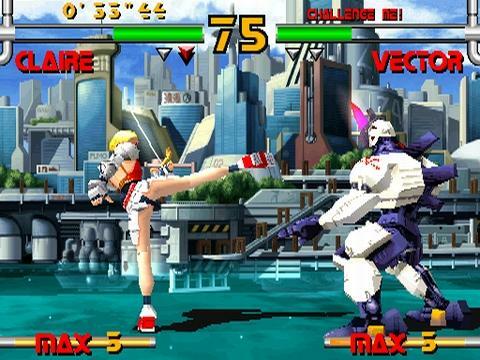 If a character raises their Super Gauge to level 3, they can then perform super moves called Plasma Strikes. 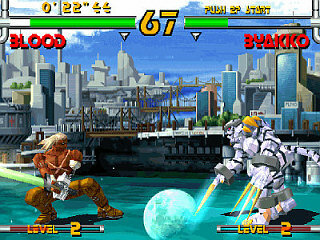 Plasma Sword's Arcade Mode features 8 stages. 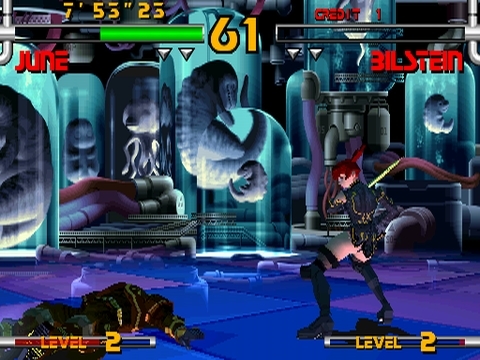 Players will encounter a mid-boss at Stage 5 which advances the story of their chosen character. 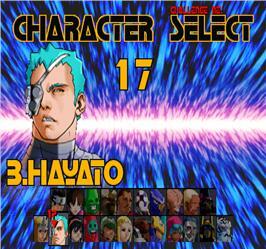 At the final stage, players face a specific final boss depending on their character. 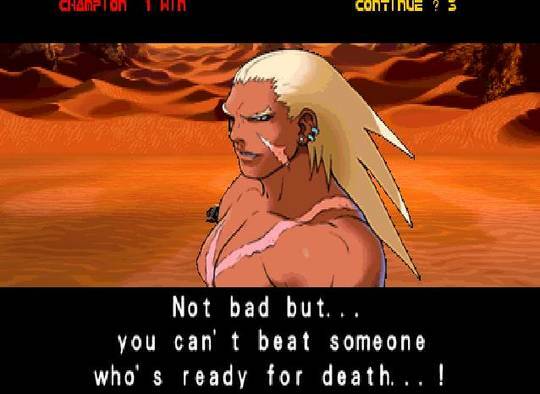 Additionally, players will either see a false ending or true ending of the character depending on how many Battle Ability points they've obtained. 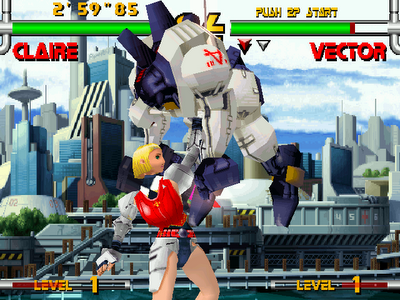 If a player obtains the required amount of Battle Ability points, they'll fight another opponent (the "true" final boss) and can view a character's true ending. 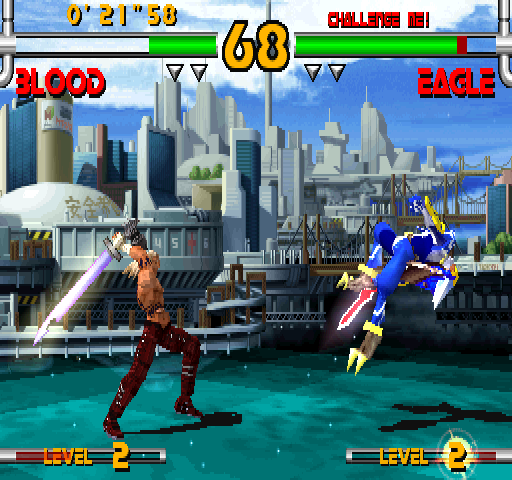 Visually, a far cry from Soul Calibur on Dreamcast. 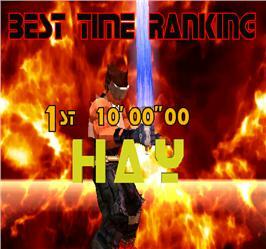 Graphically, Plasma Sword is an improvement over the original. Character models are sharper and more detailed, but the stages are actually flatter and less "3D-looking" than the prequel's. In my opinion, the background environments are very bland... consisting of only a 2D background image and rotating 3D floor (a recipe that was definitely getting old by the time Plasma Sword was released). 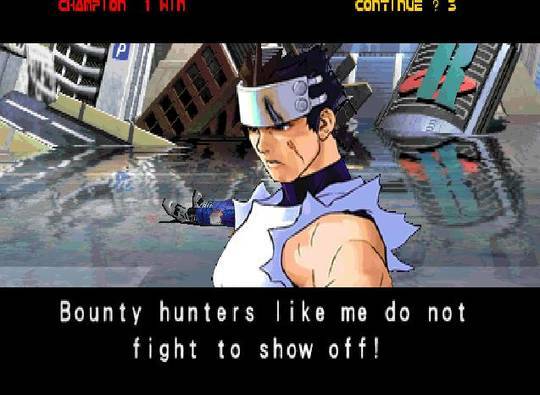 The cool "Capcom style" artwork used in-game is very well done, but unfortunately it's displayed at a pretty low resolution (complete with jaggy edges). 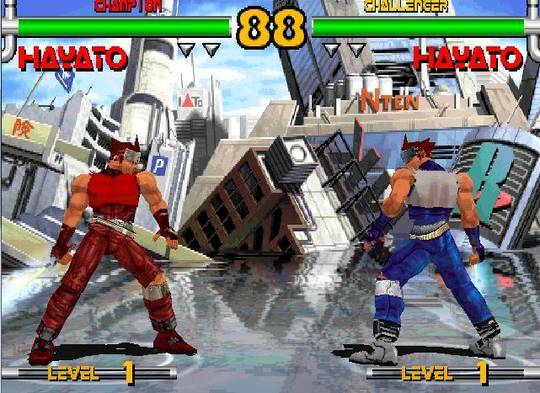 Overall, Plasma Sword can't hold a candle to other recent fighting games in terms of graphics, presentation, or gameplay (especially against the recent iteration of Soul Calibur on Dreamcast). 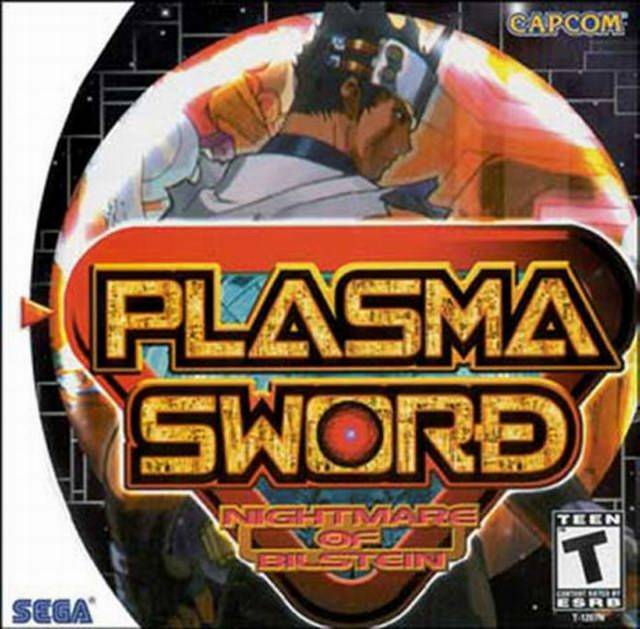 Plasma Sword's gameplay and overall "fun factor" is subpar at best... and is really only fun at all if you give the characters chance. 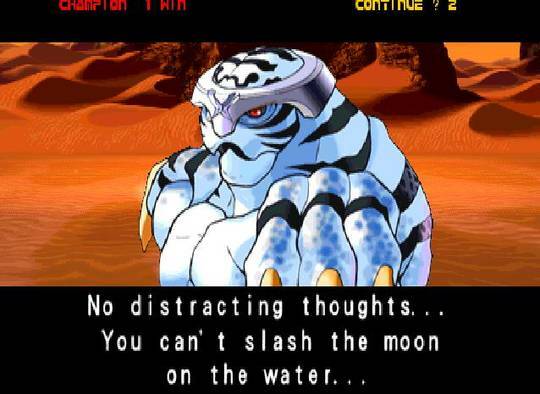 Plasma Sword's awesome art direction definitely shines a positive light on the sci-fi character designs, and they're definitely some of Capcom's most obscure. Sadly, the in-game character models are still blocky, and the boring 3D stages don't do much for the game's visual appearance either. 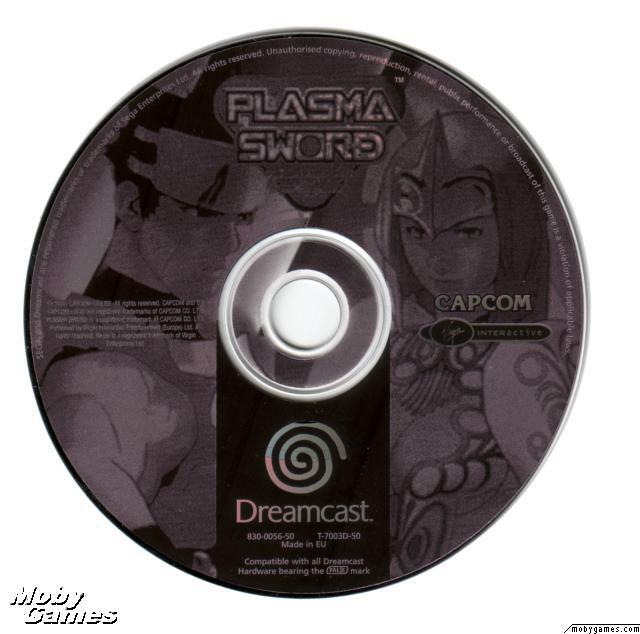 The Sega Dreamcast was capable of much more impressive visuals, making Plasma Sword a pretty disappointing title from the get-go.